Hair: It’s a natural part of being a human (and typically, a cat). 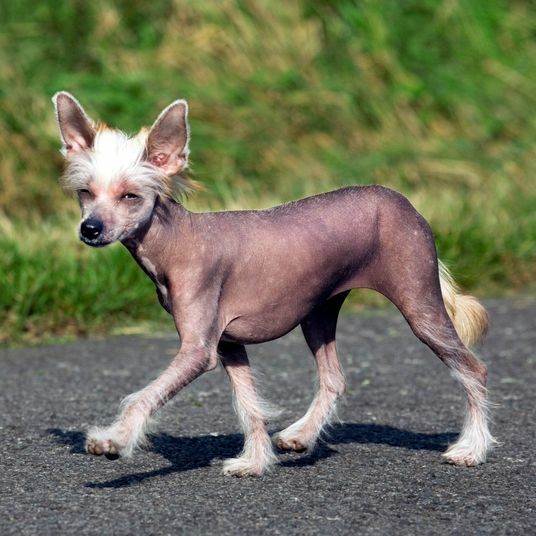 But when the temperature climbs, and skin is exposed, it’s one of those things that a good many of us want to control. 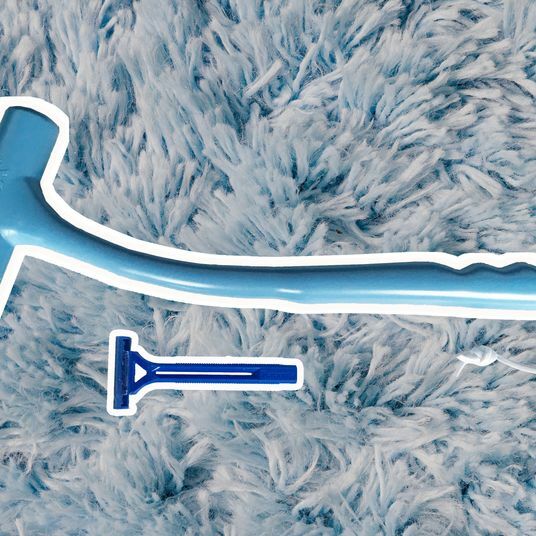 This week, we’re tackling hairlessness, not just the process of hair removal (beard trimmers and ingrown-hair treatments and aesthetician-approved tweezers) but also what to buy when you’re losing your hair. 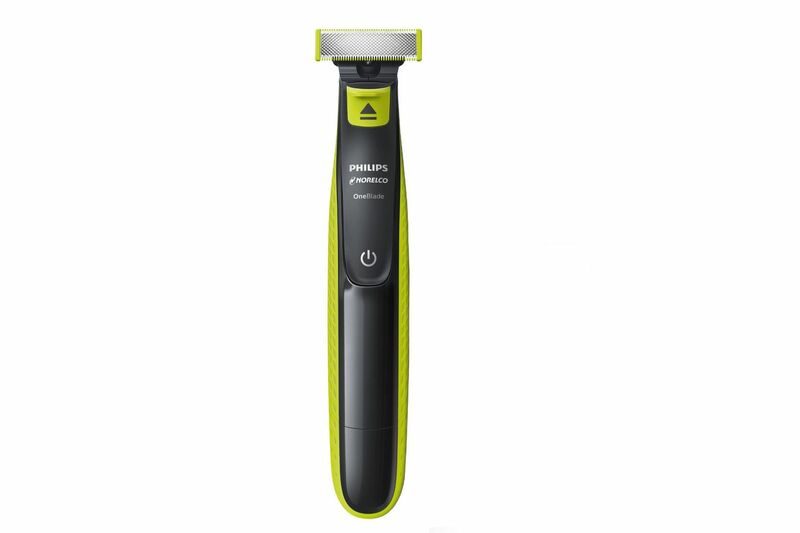 Whenever I told people that I would be writing about electric shavers, it would always be the same joke: “What hair are you going to shave?” That, my friends, is exactly the point. I take my electric shavers seriously enough that you shouldn’t ever see a hair on my chin or cheek. It’s true, I can’t grow a full beard, but left unchecked, whiskers would sprout above my lip and on my chin, with a few errant guys on the cheek. 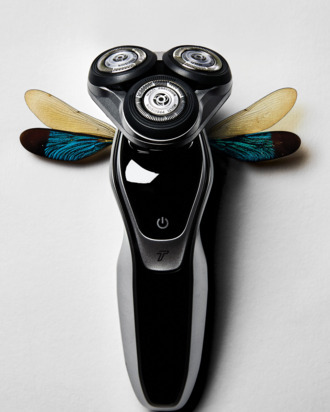 Going the manual-razor route would be overkill on my face, which is why I’ve been using electric shavers since my first Remington at age 12 — you could call me something of a connoisseur. To find the best ones for most people, I called in more than a dozen different versions and tried them all over the course of a few weeks. These were my favorites. 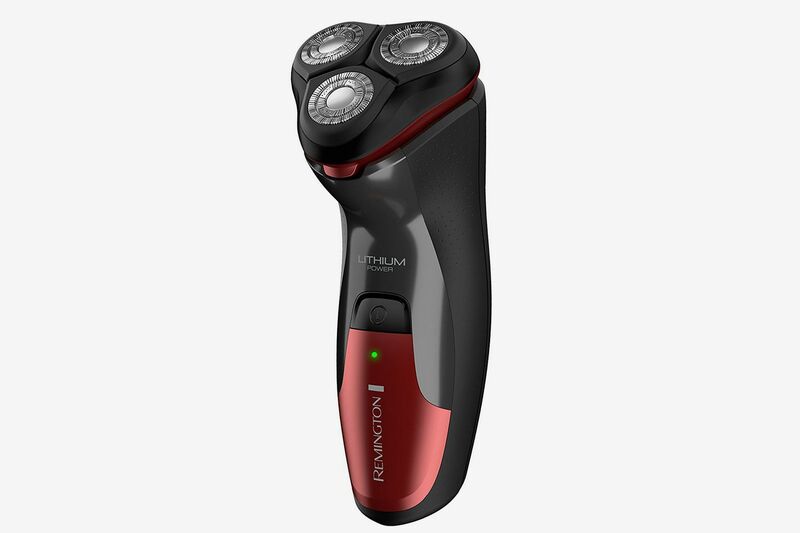 I love this shaver: It’s lightweight, feels good in the hand, and catches hairs on the first pass with hardly any effort. It might be because of the blade’s “Lift and Cut Action,” which sounds like a gimmick, but apparently draws the hair up before slicing it off. 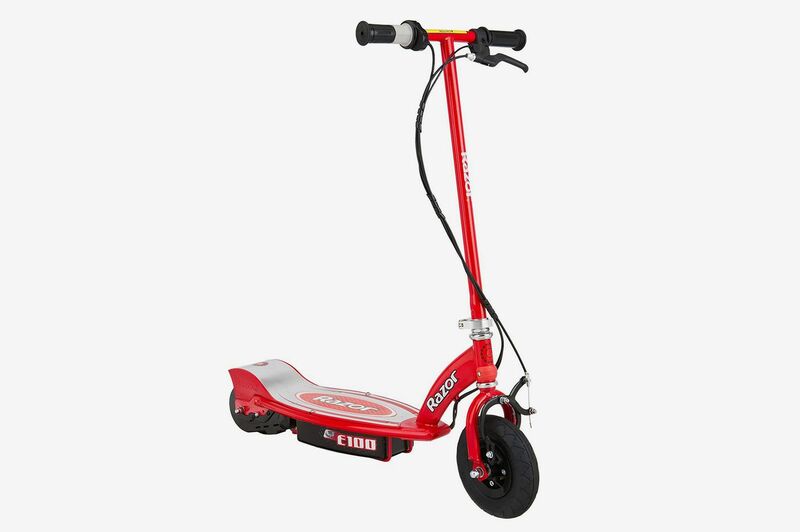 It might also be the angles of the blades on the head, which protrude toward the center to follow the glide of your hand. 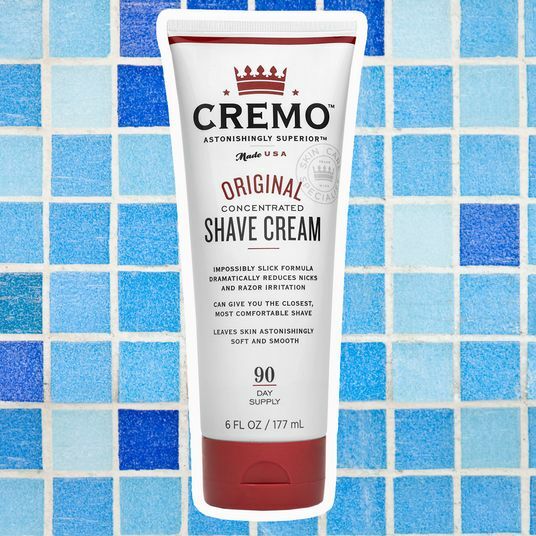 Whatever the case, it’s the smoothest, most effortless shave I got of any of these shavers. If there’s anything negative I would say about it, it’s that it doesn’t hold the world’s longest charge — I probably go about a month and a half of shaving every morning before the little indicator light comes on, which isn’t that often but not best in class, either. 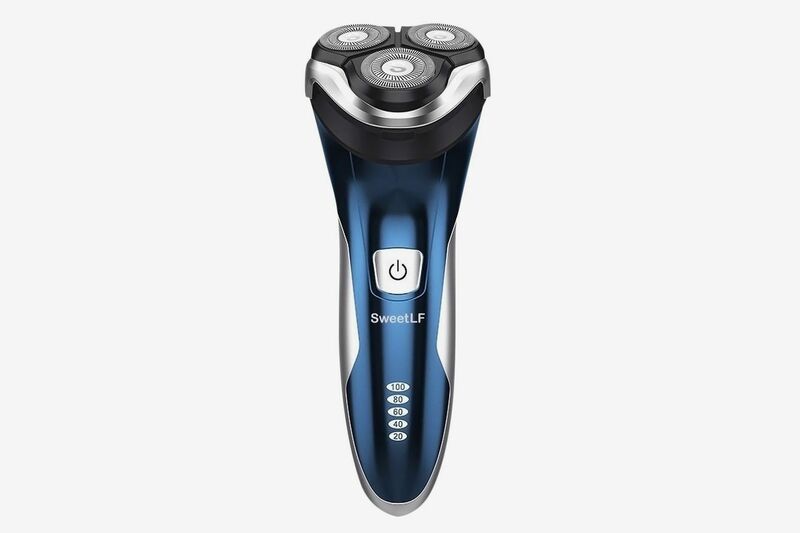 You also lock the shaver by holding the power button for three seconds, which could be slightly more intuitive than it is (a button would be nice!). There are more good than bad things going for it though: A clean and easy shave, a nice feel in the hand, an easy weight, and the ability to be cleaned with just a rinse under the sink. 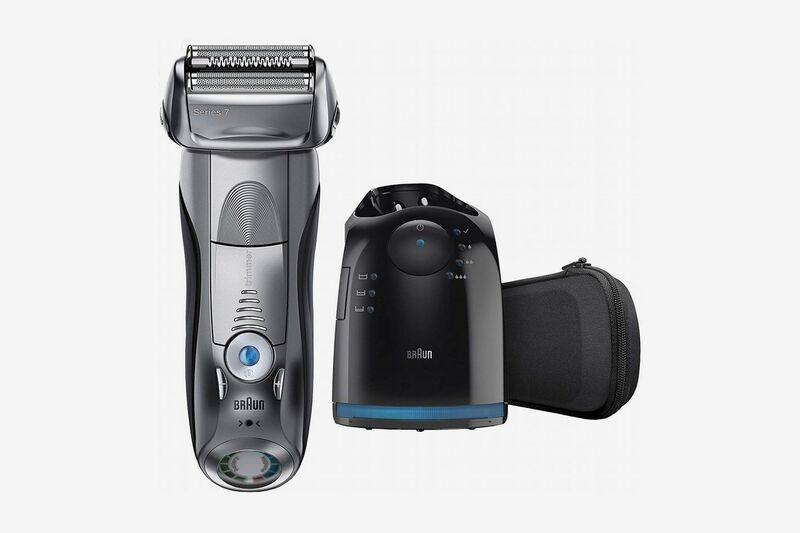 A close second to the Philips, the Series 7 also does a killer job of shaving hairs on the first go, though I prefer a rotary to a foil shaver. 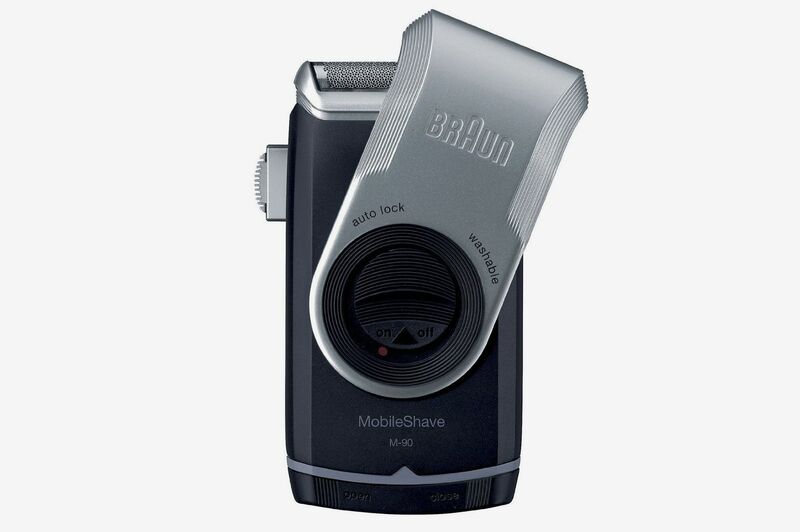 Apparently, the blades on this Braun shaver are smart enough to react to different lengths of hairs on the beard, adjusting to shave hairs even in denser beards. 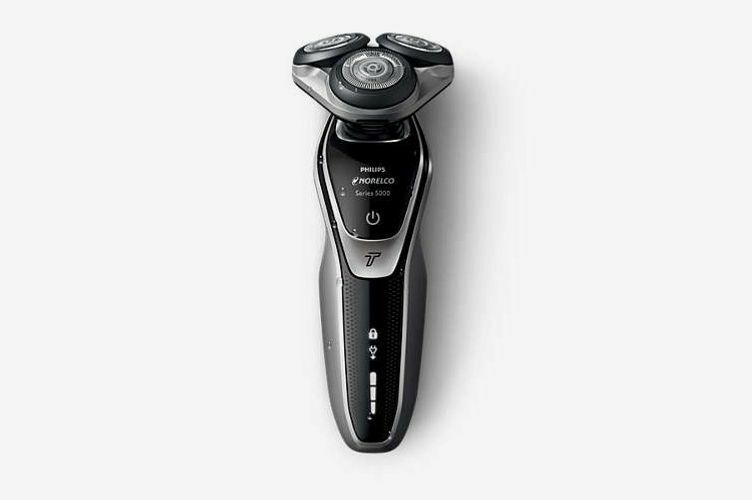 It’s also the only shaver I tested that lets you toggle the intensity — there are plus and minus buttons that’ll let you increase the strength of the shave from level one to five. 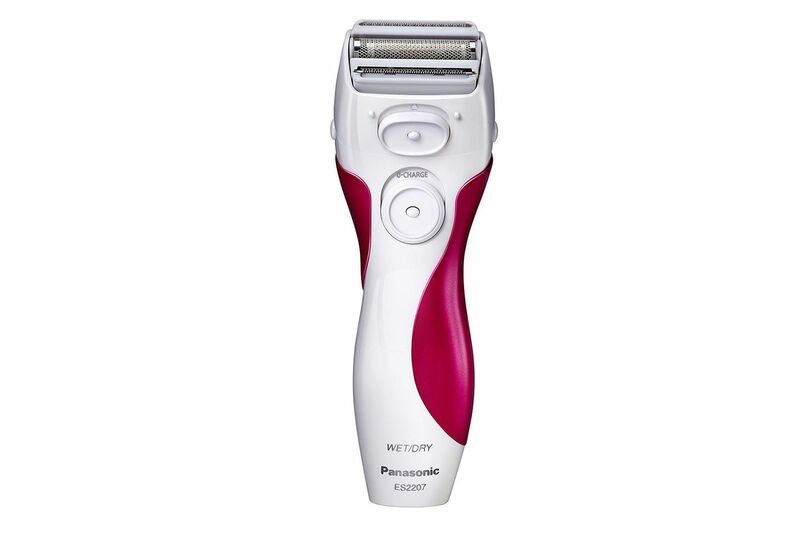 It was a tough choice between this and the Philips, though the lower price of the Philips tipped it in that shaver’s favor. 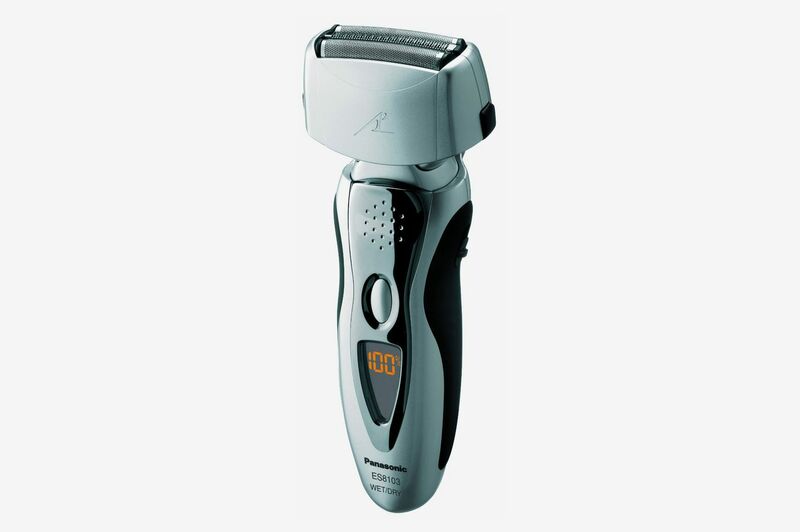 But if you go for foil versus rotary shavers, this is the one to get. The Remington was pretty much designed for keeping in the Dopp kit. 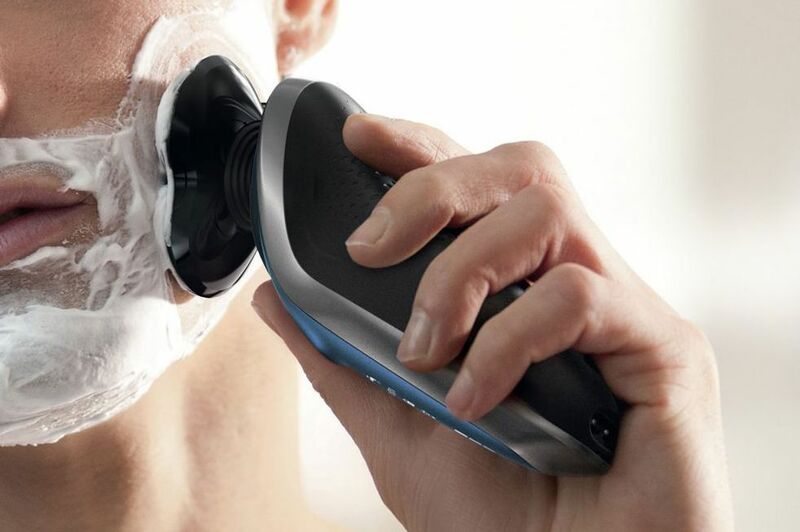 It has a solid battery life (60 minutes on a full charge, and even a quick-charge mode that gives you enough juice for a full shave after a five-minute boost) and is notably lighter weight than any of the other shavers. 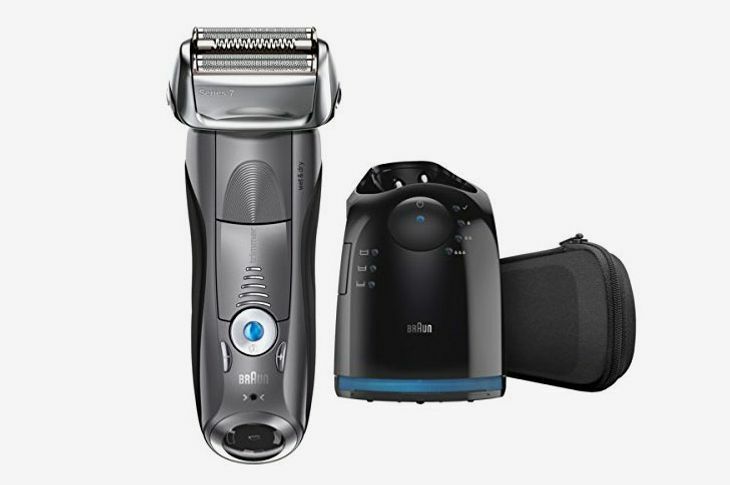 It’s 5.6 ounces; the Philips Norelco is 7.2, the Braun significantly more than that. That means it doesn’t feel expensive necessarily, but the grip feels totally natural (almost ergonomic). It’s also cheap enough that you wouldn’t cry over it if the airline lost your luggage. 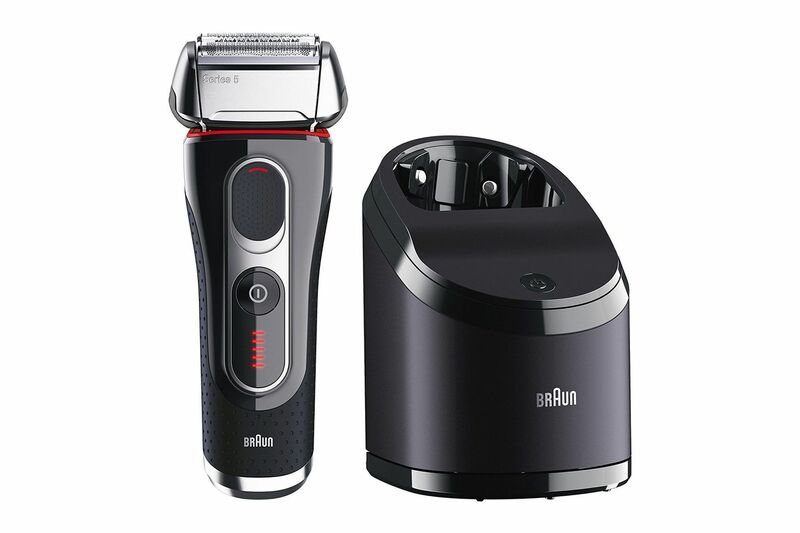 I don’t shave in the shower (too much happening), but if I did, the one I would use is the Braun S3. 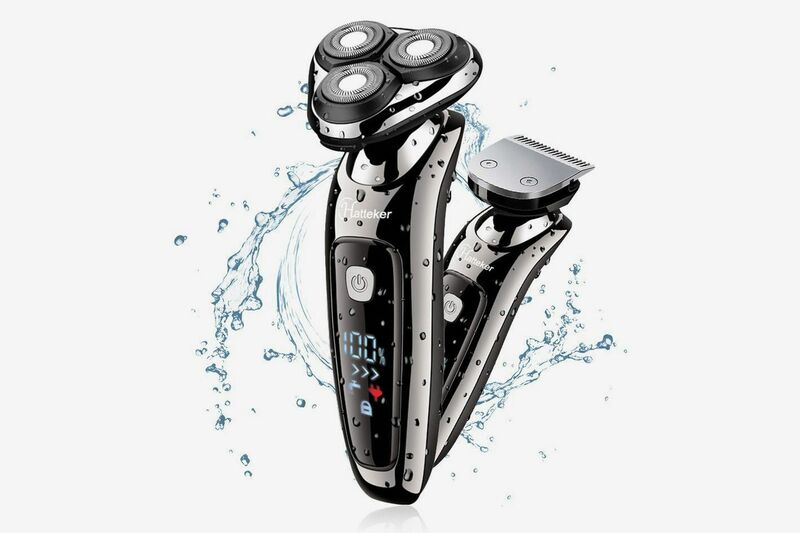 Of all of the shavers I tried, it feels the most amphibious, with a rubberized grip and streamlined body designed to minimize internal leaks. I found the shaver head a bit on the narrow side, and it didn’t catch all of the hairs on the first try, but it’s the one I’d trust the most to play well with shaving cream and overspray — you can tell just by looking that it’s designed to handle the moisture. 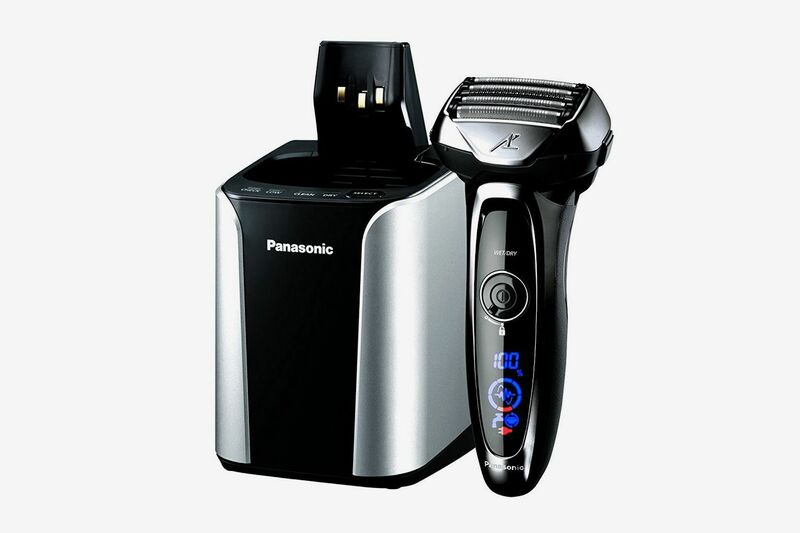 If you’re looking for an electric shaver to give as a present — ahem, dad — the Panasonic Arc5 feels the most “giftable.” First off, it just looks luxe, with a glossy black finish and light-up screen that tells you how long the shaver’s been in use and what percentage of battery is left. It also has the best accoutrements of any of the shavers I tried: There’s a cap for the shaver when not in use, a travel pouch, and a very conspicuous lock feature that keeps the shaver from turning itself on when jostled in your Dopp kit (embarrassing because no one ever thinks it’s your shaver). The blades are also very generous: wide and plentiful (there are five, more than any of the others) to cover a massive amount of surface area. Spring for the premium version and it comes with a cleaning/charging station, too. I liked the Panasonic a lot, though its head was a bit heavy for everyday use — I just didn’t need all of it. For someone with a full beard who needs to go clean-shaven, though, a super-solid choice. 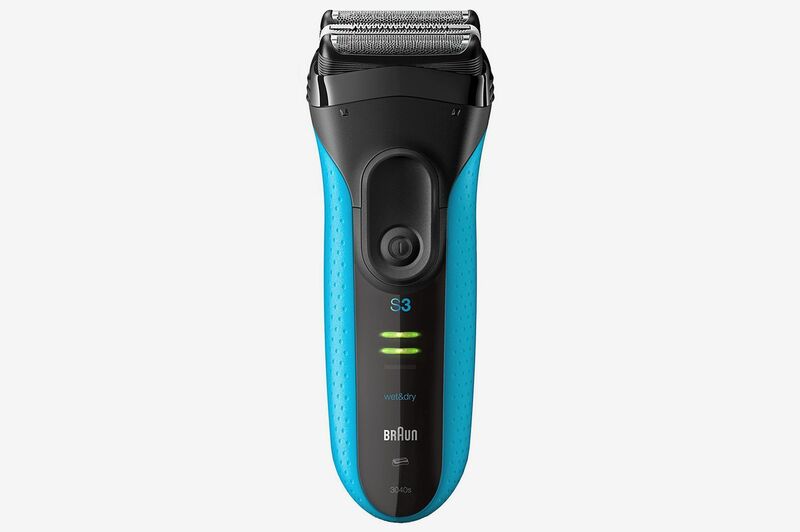 The Philips OneBlade is a body trimmer, a beard trimmer, and a shaver, though I wouldn’t suggest that you buy it for shaving. To be fair, the OneBlade can get rid of all your facial hair — it’s just not optimized to do it. I bring this up only because I forgot my razor while on vacation a few weeks ago and resorted to using my boyfriend’s OneBlade. Take off the beard guards and you can actually “shave” your face, though you’ll have to go over the same spot a few times from different angles (it works best if you use the edge rather than the flat part of the blade like the model is doing above), and it has none of the satisfying whizzing sounds that a regular shaver will give you when hacking hair away. 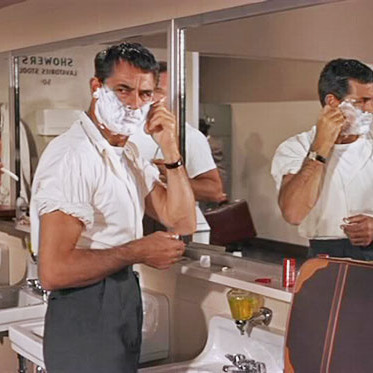 You probably won’t be able to tell that you’ve gotten a clean shave until you squint into the mirror. In short, it’ll work in a pinch. If you go clean-shaven regularly, I’d stick with the Remington instead. If you’re someone with a beard that needs trimming who, say, needs to go clean-shaven for one day (a wedding perhaps), it’ll do the trick. 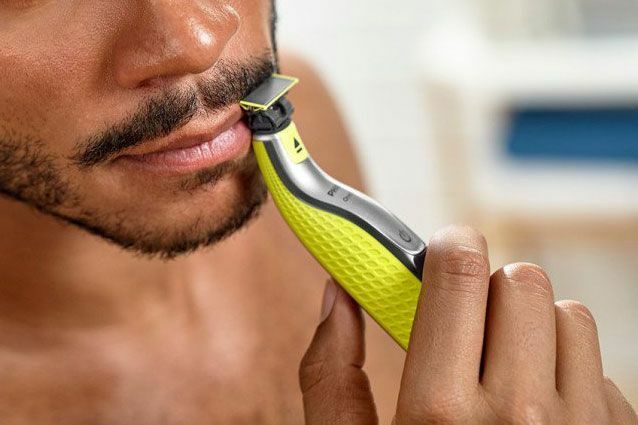 If you’re looking for a different style of electric razor (or if these are just too pricey), we also went and found some highly reviewed options from Amazon, according to hyperenthusiastic shavers. What’s the Best Beard Trimmer?